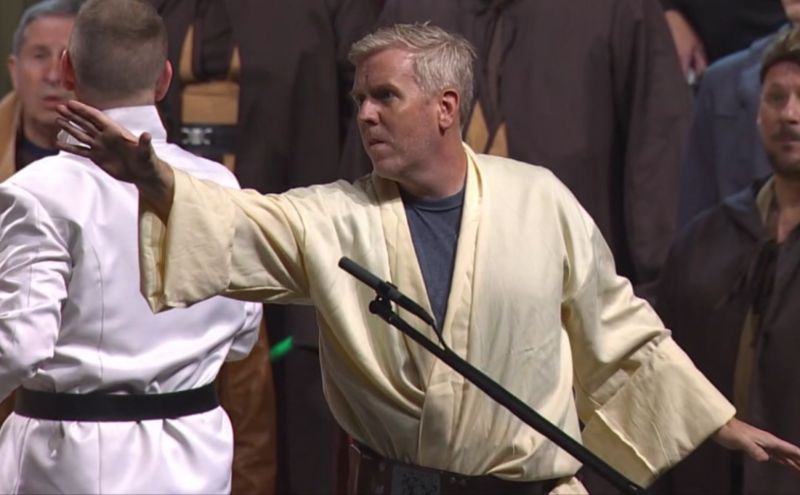 2018 International 5th place medalist chorus Music City Chorus brought back their Star Wars Parody Medley and topped the field with an outstanding score of 90.5, qualifying to compete at International in 2019. Across the three quartet contests, Mac-n-Cheese qualified for the Senior International Quartet Contest in Nashville with a top score of 73.3 and Sentimental Gentlemen finished first in the Novice Quartet Contest with a score of 64.7. With a Final score of 79.0, Entourage was named District Quartet Champion. The Liverpool, NY-based youth chorus turned full chorus, Harmonic Collective, scored an average of 77.8 to win the chorus contest and qualify for a spot at 2019 International in Salt Lake City. The Harbor House 4 of Erie, PA won the Quartet Contest with a score of 71.9 and Group Therapy of Binghamton, NY earned a score of 64.0 to become the the Mixed Harmony Quartet Champion. Upgrayed, who finished second overall, finished with the top Senior score and qualified for Senior International in Nashville. Old Spice is the District Senior Quartet Champions, as Upgrayed is a previous champion.